Are you having difficulty keeping up with your bills? Imagine how liberating it would feel if you could just call up a magic genie from a bottle and wish for no debt. Unfortunately, it's not quite that easy, but there are some federal laws that can help you manage or eliminate that debt. You may have previously seen references to Chapter 7 or Chapter 13 bankruptcies, and you have no idea what either is, much less how they're different. Hopefully, we can demystify these terms. In this article, we explore Chapter 7, the single most common type of bankruptcy filing in the United States. Chapter 7 is also called straight bankruptcy or liquidation bankruptcy. It's the type most people think about when the word "bankruptcy" comes to mind. In a nutshell, the court appoints a trustee to oversee your case. Part of the trustee's job is to take your assets, sell them and distribute the money to the creditors who file proper claims. The trustee doesn't take all your property. You're allowed to keep enough "exempt" property to get a "fresh start." Before a case is filed, you'll have to gather all of your financial records like bank statements, credit card statements, loan documents, and paystubs. You'll use that information to fill out the bankruptcy petition, schedules, statement of financial affairs, and other documents that will be filed with the court. You can download copies for free from the website maintained by the U.S. Courts. Your attorney will use bankruptcy computer applications to produce them. Broadly, these documents include the voluntary petition for relief, the schedules of assets and liabilities, declarations regarding debtor education, and the statement of financial affairs. These documents require you to open up your financial life to the bankruptcy court. They include a listing of all of your property, debts, creditors, income, expenses, and property transfers, among other things. Once completed, you'll file it with the clerk of your local bankruptcy court and pay a filing fee. If you're interested in finding your local court, visit the federal court locator page, choose "Bankruptcy" under "Court Type" and add your location in the bottom box. Almost every individual debtor who wants to file a Chapter 7 case has to participate in a session with an approved credit counselor before the case can be filed. This can be in person, online or over the telephone. The rationale behind this requirement is that some potential debtors don't know their options. A credit counselor may be able to suggest alternatives that will keep you out of bankruptcy. You can get more information about this requirement on the website for the U.S. Trustee. A debtor must also successfully pass the means test calculation, which is another document that must be completed prior to filing for bankruptcy. This test, which was added to the Bankruptcy Code in 2005, calculates whether you are able to afford, or have the "means" to pay at least a meaningful portion of your debts. The means test compares your income with the median income for your state. If you fail the means test, you can only file Chapter 7 bankruptcy under very specialized exceptions. Your alternative would be to file a Chapter 13 repayment plan case. You can learn more about the means test and the numbers used in the calculation from the U.S. Trustee website. After a Chapter 7 bankruptcy is filed, the court will issue a document giving notice of a debtor's meeting of creditors. This notice is also sent to all of the creditors that are listed within the bankruptcy documents. During the meeting of creditors, the bankruptcy trustee will ask the debtor various questions about the bankruptcy, such as whether all of the information contained within the bankruptcy documents is true and correct. The trustee may ask other questions about a debtor's financial affairs. If the trustee wishes to investigate the bankruptcy further, they may continue the meeting of creditors on a future date. It is important to note that at the meeting of creditors, as the name suggests, any creditor may appear and ask a debtor questions about his bankruptcy and finances. In reality, however, the only creditors who appear regularly are car creditors (to ask what you intend to do about your car payments) and the IRS (to ask when you're going to pay back those non-dischargeable taxes). If you have any nonexempt property, the bankruptcy trustee has the ability to seize and sell the property. Exemptions refer to federal or state statutes that allow you to protect certain types of property when you file bankruptcy. For example, exemptions exist to protect retirement accounts, such as a 401(k) plan. Any assets that the trustee can recover are distributed to creditors. Before most debtors can receive a discharge, they will have to take a course in financial management. This class is likely taught by the same group that you used for the credit counseling. Plan to spend about two hours in person, online, or on the telephone. 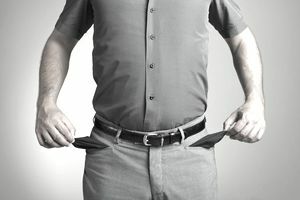 If the trustee and the creditors do not object to the debtor's discharge, the bankruptcy court will automatically give the debtor a discharge at some point after the last day to object. The last day to file a complaint objecting to a debtor's discharge is 60 days after the first session of the meeting of creditors. If no complaint is filed, the discharge is usually entered several days later. The discharge prevents creditors from attempting to collect any debt against you personally that arose prior to the filing of the bankruptcy. Thus, for all intents and purposes, the discharge effectively wipes out debts. However, it is important to note that not all debts are dischargeable, including certain taxes and child or spousal support obligations. Furthermore, a bankruptcy discharge is personal. This means that a creditor can still collect on a discharged debt from a co-debtor that did not file for bankruptcy. A creditor with collateral may also be able to use that collateral to satisfy some of that outstanding debt.